Agility. Comfort. Protection. Think you can find a pair of workwear that gives you ALL of these, and more? Of course you can. Right here at Working Person’s Store, we have these Danner Men’s 28012 Black Kinetic Side Zip 8 Inch GTX Waterproof Boots. They’re to ... (see full details) (see specifications) #DNN28012. With tough full-grain leather and RipStop ballistic nylon in the uppers of this footwear, you’ll have exceptional abrasion-resistance and ruggedness. The nylon helps make these men’s shoes lightweight and breathable, while the leather can be easily polished - this is preferred by workers in uniform and on special tactical teams due to its durability and ability to be cleaned quickly. The exteriors of these black boots also have semi-lock side-zips for convenient, easy entry and exit. These help speed up the process of getting ready, which is something you’ll need. The kinetic outsoles of this side-zip footwear is multidirectional low lug outsoles that provide you with superior surface contact and traction. When you need sudden acceleration from a resting position, these are the perfect soles for you. These Kinetic boots have nylon shanks to reinforce your arches all day long. Deeply cushioned polyurethane midsoles provide you with long-lasting comfort and support, too. Weighing just 53 ounces with an 8-inch height, these shoes are lightweight, fast, and ready for anything. The soft interiors have polyurethane footbeds that give your feet the ultimate step-in and all-day cushioning they need. You’ll also have 100% waterproof and breathable GORE-TEX liners in the slip-resistant boots. These are engineered to keep your feet dry and comfortable, even in extreme weather conditions. In order to serve and protect, you require speed and strength. These Danner Men’s 28012 Black Kinetic Side-Zip 8 Inch GTX Waterproof RipStop Boots offer you with both, and then some. 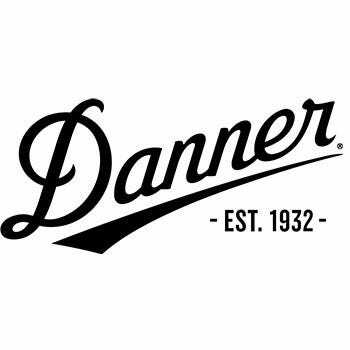 Order your pair from Working Person’s Store today - we’re all about quality products, and the Danner brand has been in business since 1932. Danner Boots: Men's 28012 Black Waterproof Kinetic Side Zip 8 Inch Leather Boots is being added to your cart.